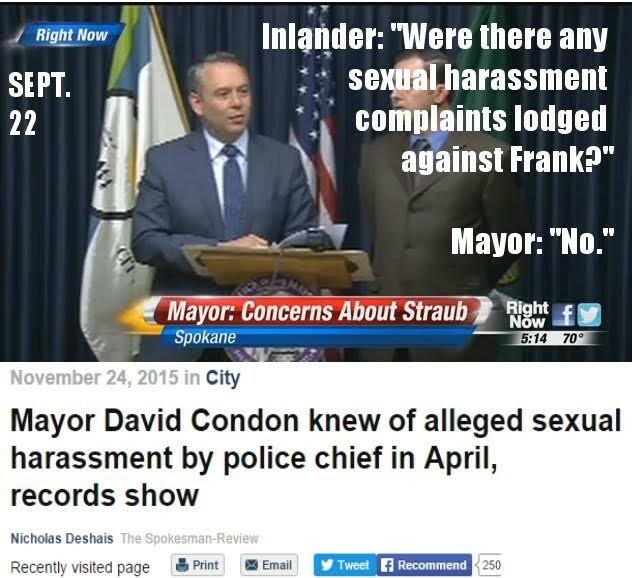 Documents reveal that Mayor David Condon knew of alleged sexaul harrasment from police chief. Council President Ben Stuckart is calling for an investigation. In Chicago, streets have been filled with protesters after a judge ordered the release of a dash cam footage showing a police officer shooting a black teenager. President Barack Obama has apologized to Doctors Without Borders after military personnel mistakenly ordered an airstrike on a hospital run by the charitable group. Gov. Jay Inslee was in town yesterday to assess the damage done by the record windstorm. Although he said he was impressed with the community’s response, he expressed uncertainty if the city would qualify for federal dollars. Two Democratic state lawmakers and the League of Women Voters filed a lawsuit in King County seeking to strike down a recently passed initiative from Tim Eyman that could result in significant tax cuts.